Sometimes a person’s name fits them so perfectly, you start to wonder if they chose it themselves. It simply encompasses everything about them. Their personality and even their approach to life. Meet respected Real Estate Broker, Peng Hock Tan. Delving his interest in the business of real estate with boundless energy and enthusiasm,Tan has an “uncanny” sense of direction brimming with purpose. With a rock steady mind, Tan addresses important issues with precise clarity. He can see the big picture and he can help you draw it and make it a reality. With over thirty seven years of experience in a military, aeronautical engineering field, sales, marketing and manufacturing environment, Tan’s decision to become a Real Estate Broker has been a satisfying one. Tan considers himself as a concept person and would rather “get a small taste of everything than spend his life eating the same meal.” This is reflected in his diverse range of hobbies which includes: reading, cooking, technology, gardening, aero-modeling, travelling, lifelong studying, visual arts, music and spending family time. With his focus on the big picture and talent of helping others draw it, Tan has found his calling in assisting families in creating a dream come true when it comes to purchasing or selling a home. 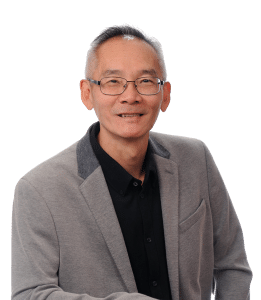 As a professional Real Estate Broker with Royal LePage, Tan combines his refreshing perspective with his knowledge and experience to assist families to clearly see how their dreams can be achieved. Clients appreciate his natural given enthusiasm and energy as well as the clarity and expertise he brings to their transaction as their representing agent. From his personalized brand of service that can find you the perfect home to innovative marketing strategies that can get your home sold as quickly and as efficiently as possible. With Tan, he is “Clearly Your Clear Choice in Real Estate.” Please don’t hesitate to contact me if you have any questions or concerns because I’ll be more than glad to help!